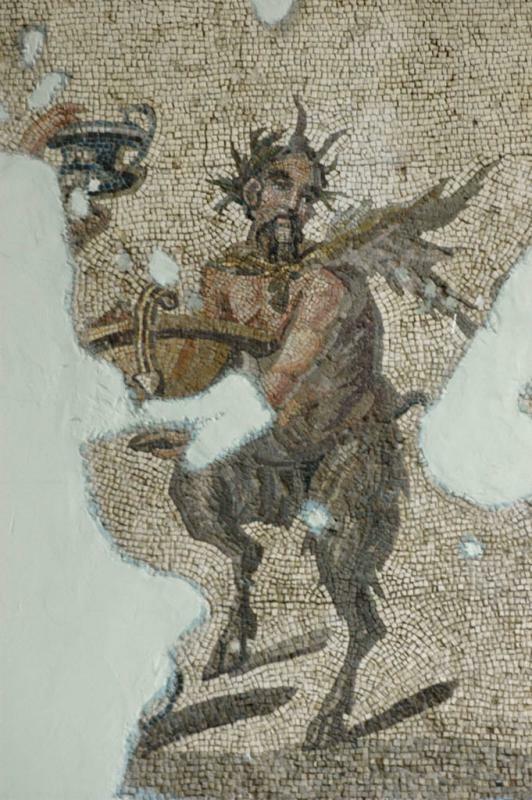 This is part of the "Triumph of Dionysus" mosaic, inv. 873, from Harbiye, second-third century AD. A border is made up of masks.